14 June 1967 First flight. 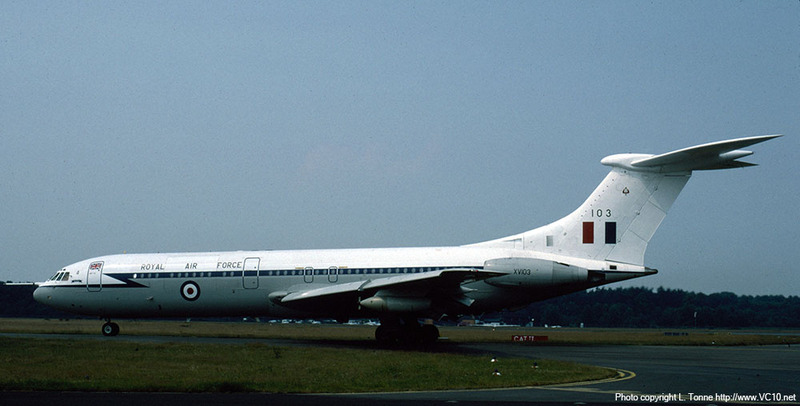 5 July 1967 Handover to RAF 10 Squadron as XV103. 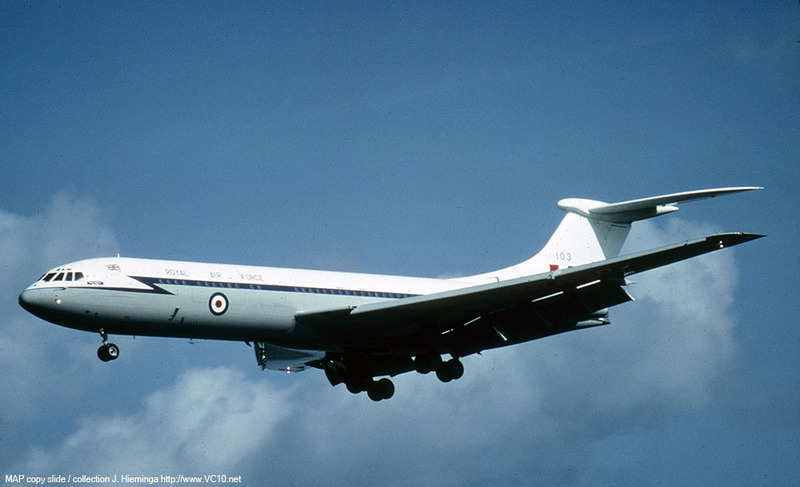 11 November 1968 Named 'Edward Mannock VC' in a ceremony at RAF Brize Norton. 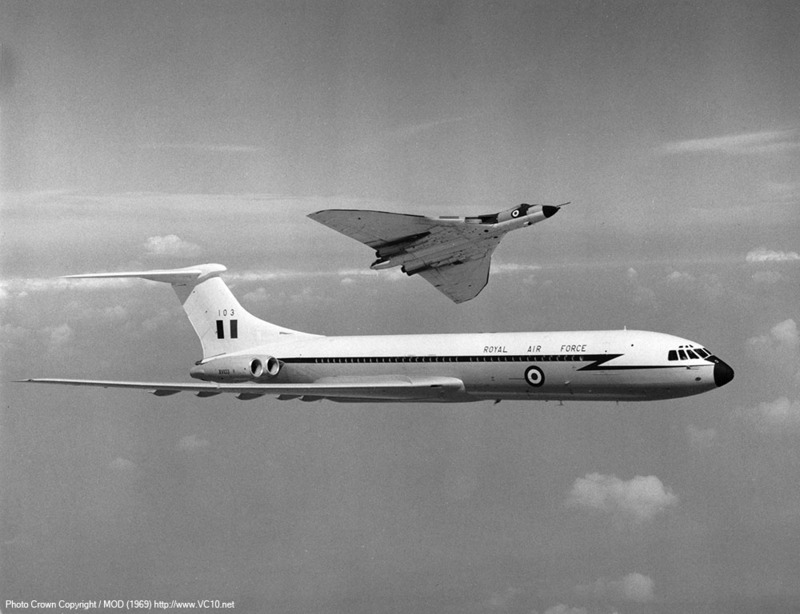 7 September 1972 Flew in formation with a Vulcan to celebrate the inclusion of Air Support Command into Strike Command. 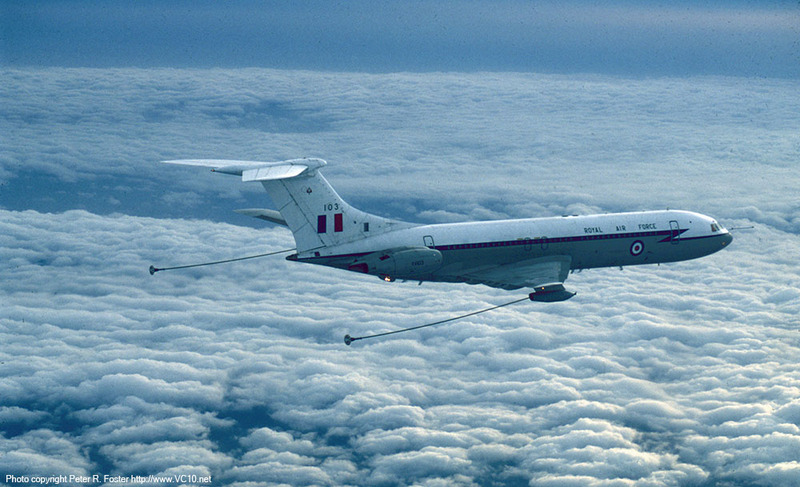 23 November 1992 First flight after conversion to C1K tanker/transport. 3 December 1992 Delivery to 10 Squadron as C1K. 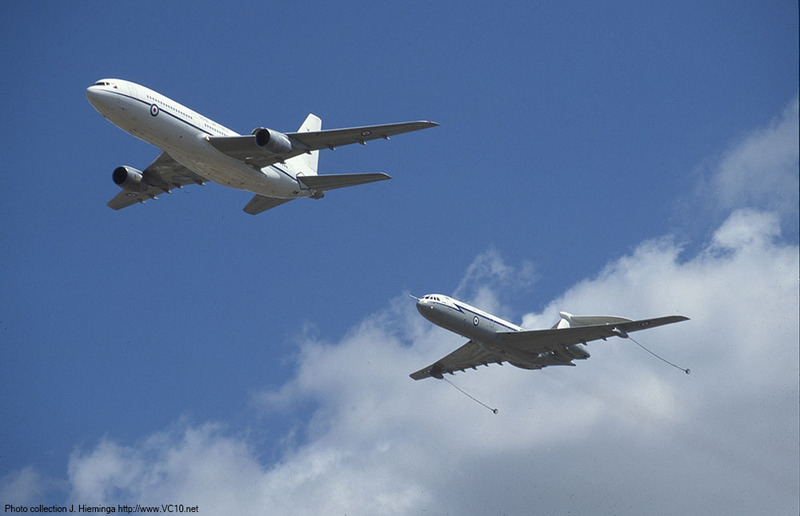 24/25 July 1993 Participated in the flying display at the RAF Fairford airshow, together with ZA150 and Tristar ZD950. 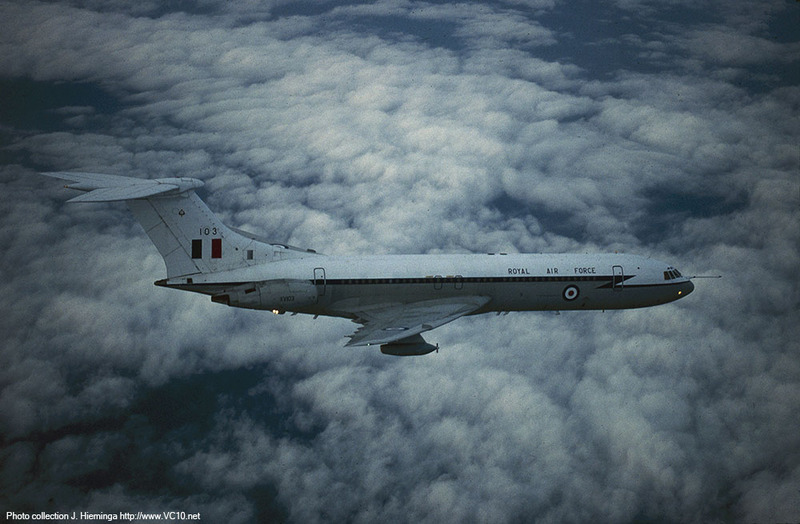 23 July 1995 Flew with 216 Squadron Tristar ZE705 at the airshow at RAF Fairford. 7 December 2000 Final operational sortie for XV103, refueling Tornados. 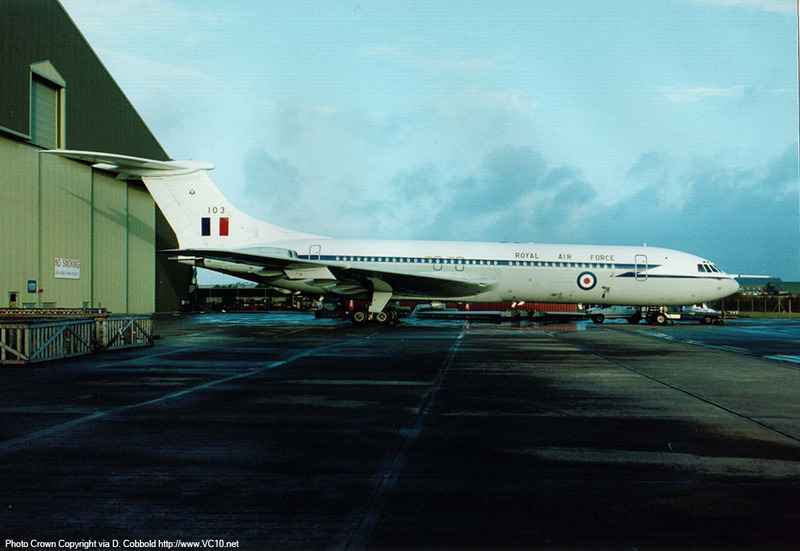 January 2001 Aircraft withdrawn from service, flown to St. Athan on its final flight. Total time 34,268 hours (or 34316, according to this list). September 2001 Disassembly started, reusable parts being removed from the airframe. 20 November 2002 Airframe remains scrapped at RAF St. Athan. 1. 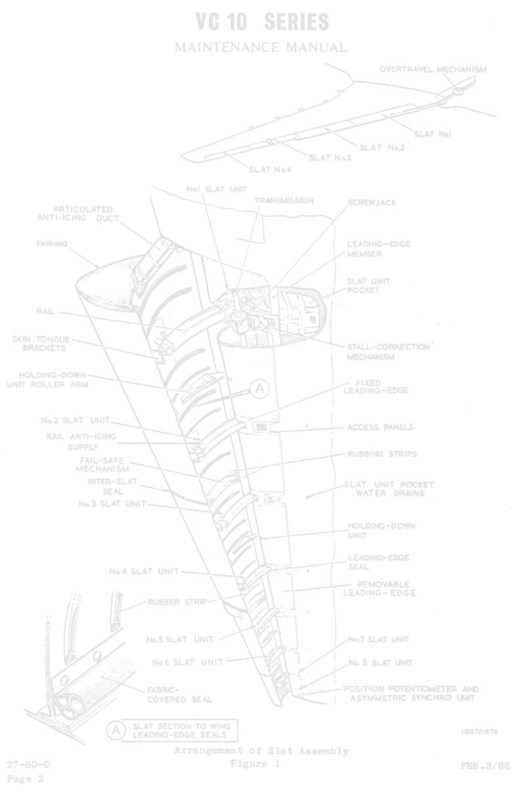 The original black-radomed scheme on XV103. 2. To celebrate the fact that Air Support Command had been merged into Strike Command, which occurred on 1st September 1972, XV103 flew in formation with a Vulcan. The photo was probably taken on 7th September 1972. 3. 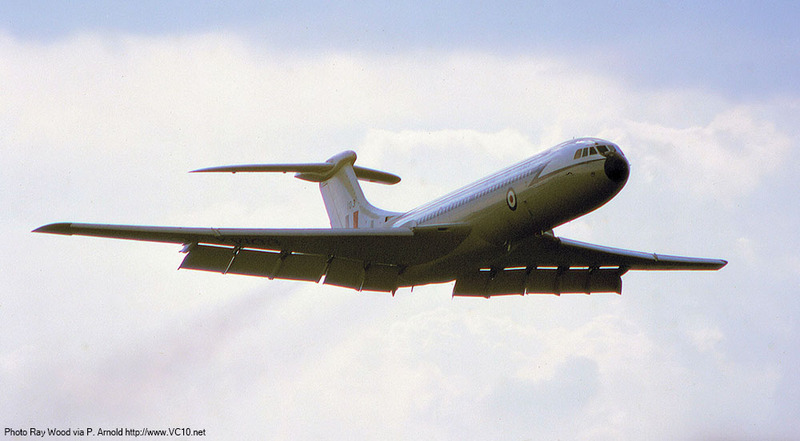 XV103 on final approach when it was still a 'pure' C1. 4. During the Gulf War, XV103 operated several flights and is seen here at Al Jubail in Saudi Arabia. 1. 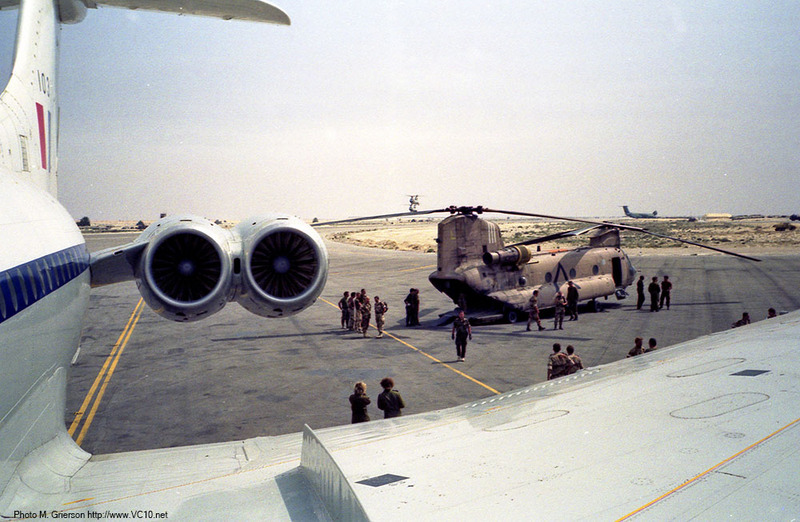 During the Gulf War, XV103 operated several flights and is seen here at Al Jubail in Saudi Arabia. 2. 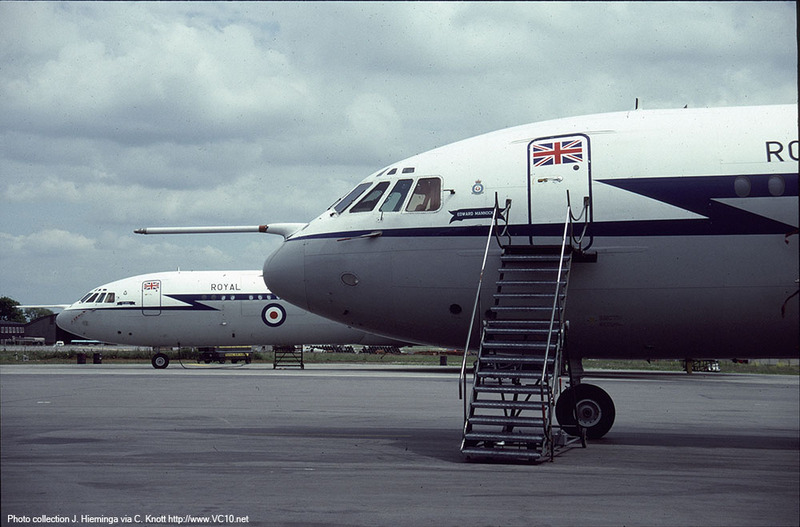 Most likely back at RAF Brize Norton, XV103 is parked next to XV102 in June 1991. 3. 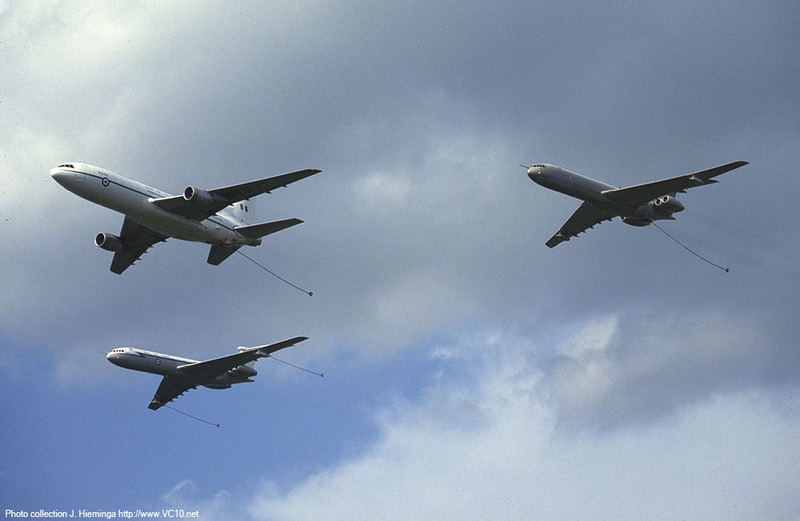 Fairford 1993, a formation flypast with ZA150 and Tristar ZD950. 4. 9th June 1995, XV103 showing its 10 Squadron colours. 1. In July 1995, XV103 flew again at the Fairford show, this time with ZE705. 2. 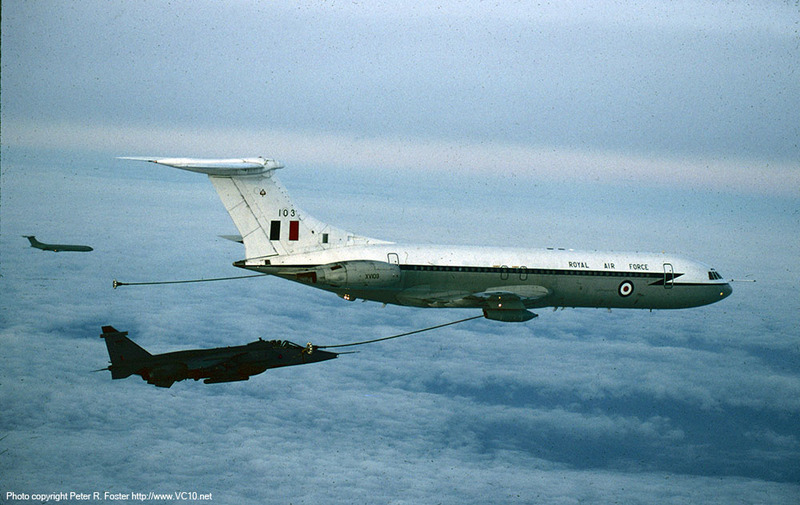 Refueling a Jaguar, with another VC10 in the background. 3. XV103 in a twilight setting in December 2000. 4. On 7th December 2000 XV103 refuelled several Tornados on its final operational sortie. 1. XV103 parked in front of the 'Twin Peaks' hangar at St. Athan. After several months of storage, it would slowly be scrapped here.